Call for Applications: Become a Young European Ambassador! Прием заявок: стань Послом европейской молодежи! Are you a young game-changer, fluent in English and a citizen of the EU or one of the Eastern Neighbourhood countries (Armenia, Azerbaijan, Belarus, Georgia, Moldova, Ukraine)? Are you interested in EU affairs, your country’s partnership with EU and would like to engage in online and dialogue-driven activities? 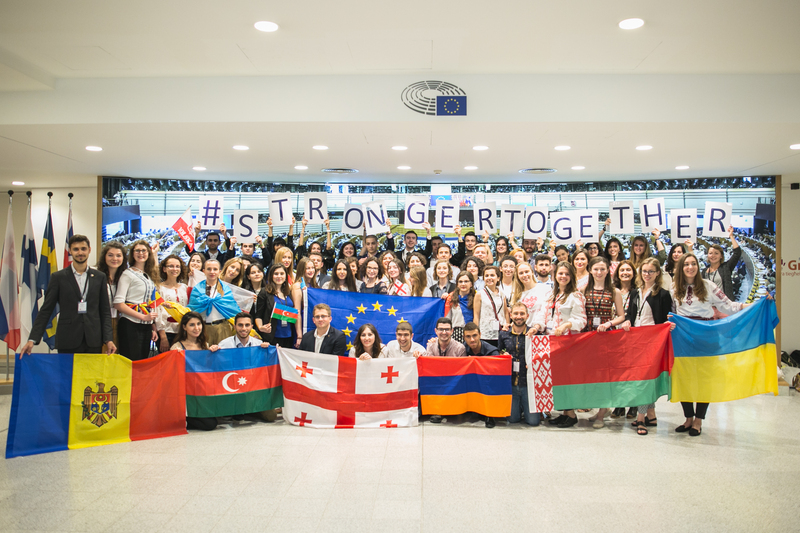 If so, the EU NEIGHBOURS east project invites you to apply to become a ‘Young European Ambassador’ and take part in an initiative that connects more than 100 young people from the EU Member States and the Eastern Neighbourhood countries. The role of the Young European Ambassadors (YEAs) is to represent the youth of their countries and network with young people from the European Union and the Eastern Neighbourhood countries. They exchange experience, discuss matters of direct concern to young people, share best practices and work together for a better future.
? A total of 100 young people have been appointed as YEAs in September 2016, following an open application process. A new call is being launched this year to enlarge the network.
? Between 10 and 20 YEAs have been appointed from each Eastern Neighbourhood country and the EU Member States.
? Do you want to learn more about the YEAs and their activities? Click here. ✅ The deadline to apply is: 15 September 2017. ✅ No participation fees are required! ✅ By completing the application form, you are confirming that you will be available from September 2017 for one year (renewable) to voluntarily engage in the activities described above. ✅ You must be a citizen of one of the EU Member States or one of the six Eastern Neighbourhood countries (Armenia, Azerbaijan, Belarus, Georgia, Moldova and Ukraine). ✅ You must be between 18 and 25 years old. ✅ You must be a fluent English speaker. Please note that the activities and actions will be organised on a voluntary basis and will not involve any remuneration or title. We acknowledge that you might be studying/working, thus the YEAs initiative has been designed to be flexible. Should you participate in a mission or event, all costs will be covered.